Giving back to her community has always been important to our CEO Aviva Sapers and her family. She is involved with many non-profits and has made charitable giving an important part of our company culture. Sapers & Wallack donates 1% of its revenue at a minimum of $100,000 per year to charities such as the Jewish Community Housing for the Elderly (JCHE). We also have an employer-matching program, volunteer as a team for different non-profits throughout the year and have a charitable referral program. 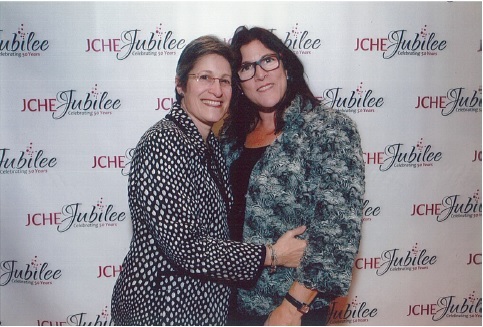 Aviva and her wife Judith Sydney will be honored at this year’s JCHE’s ‘The Art of Community’ gala for their unwavering support of the organization’s mission and commitment to the community and we congratulate our wonderful CEO to this recognition.